Have you ever wondered how these lines got there on a worksheet? 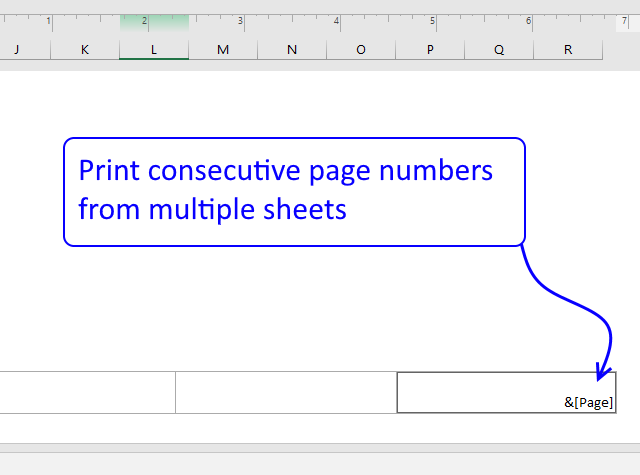 They show where pages will break, in other words, they show how much of the worksheet that will be printed on a single paper or pdf. If you click Page Break Preview button on tab "View" and then click "Normal" button, the lines appear, however, they don't disappear automatically. So how do you get rid of them? 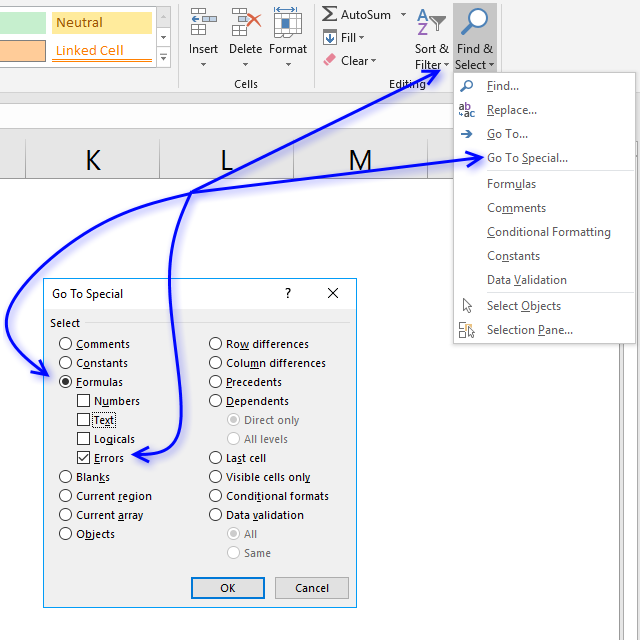 You can't easily disable them clicking a button on the ribbon, unfortunately, you must go to the Excel Options and disable it there. See detailed instructions below. 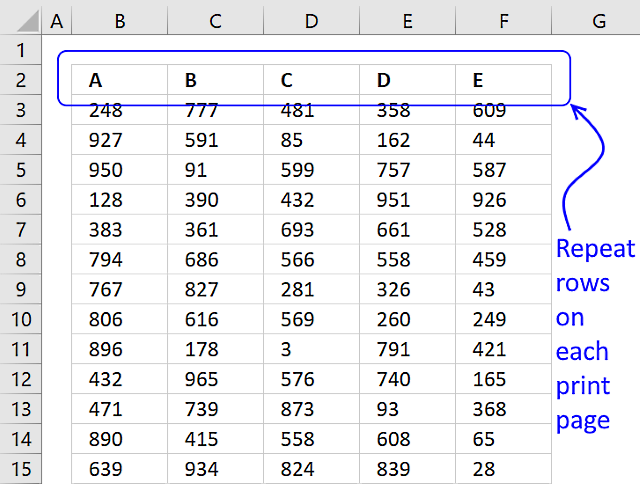 I made a macro, demonstrated later in this article, that you can use to quickly disable the print preview lines, put it in your personal toolbox and use it whenever necessary. 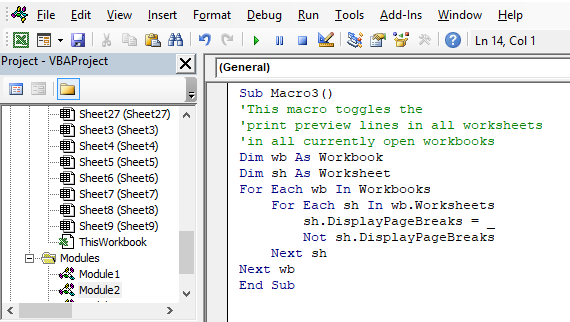 The is also a macro-enabled workbook for you to download further down in this post. 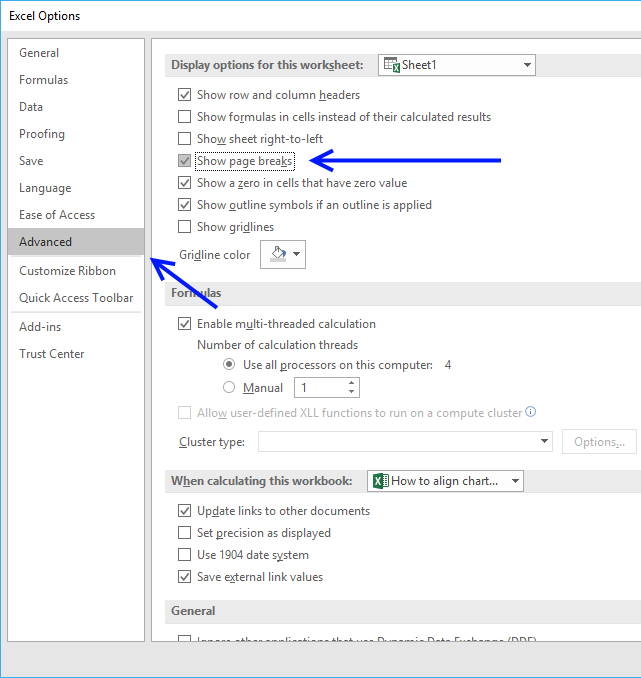 It seems that if you close the workbook and then open it again the print preview lines disappear, however, this is in my opinion not recommended. Click on tab "File" on the ribbon. 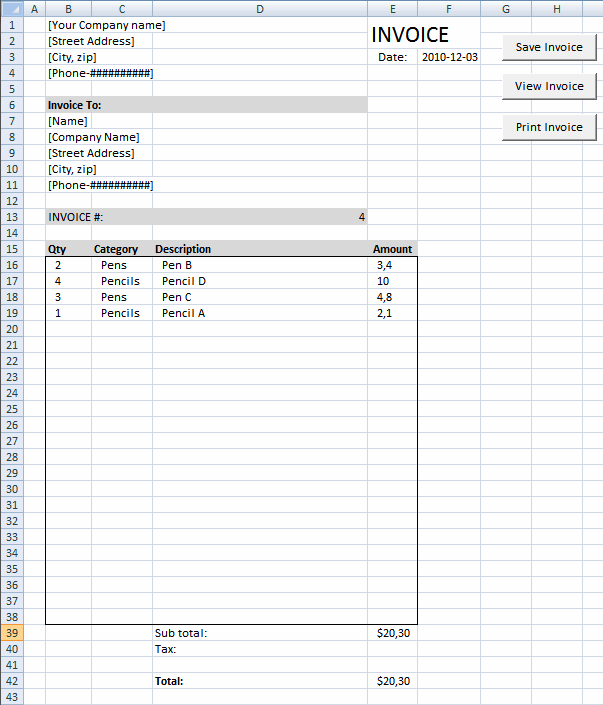 Scroll down to "Display Options for this worksheet". 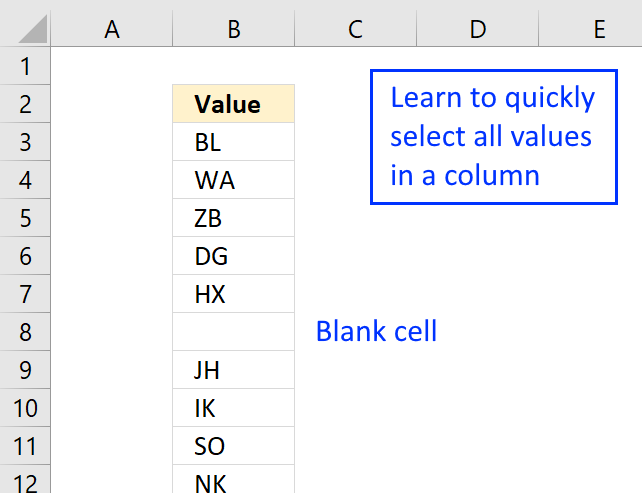 If you are familiar with the Immediate window in the Visual Basic Editor you can probably more quickly delete the print preview lines than through Excel Options. Press Alt+F11 to open the VB Editor. 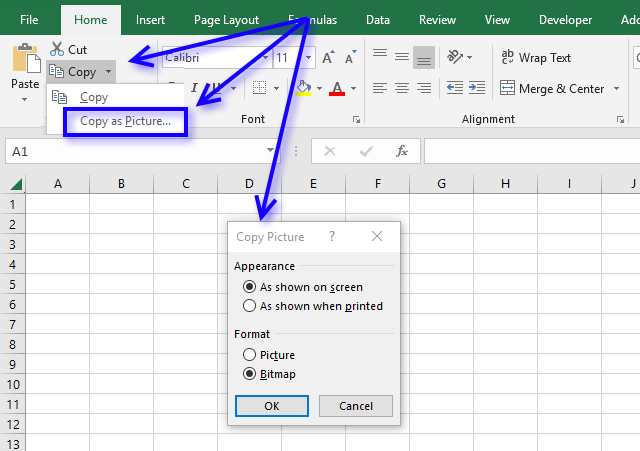 Click the Office button located at the top left side of your screen. Click tab "Advanced" in the left window. 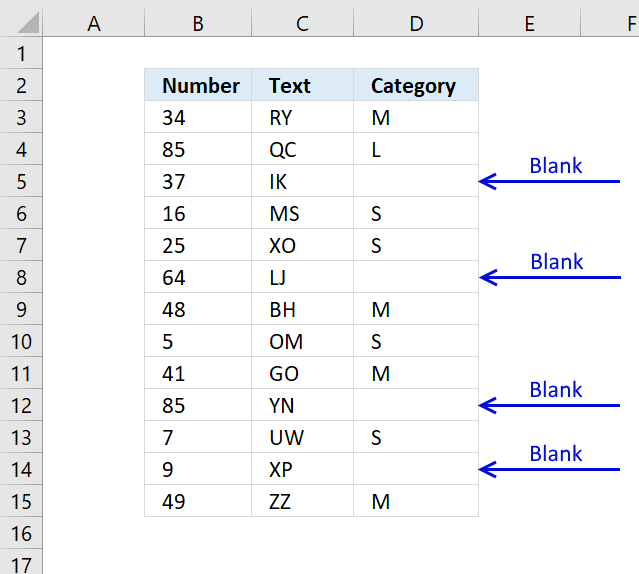 Find "Display Options for this Worksheet". 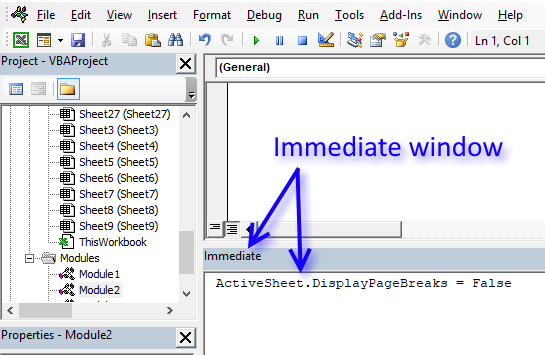 Disable the check box "Show Page Breaks"
Disable checkbox Page Breaks found in Windows Options. 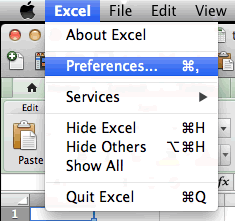 Go to "Preferences" on the menu. 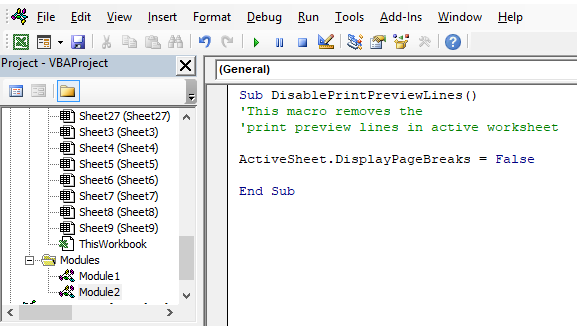 Disable checkbox "Show Page Breaks" located below "Windows Options"
If you often disable print preview lines manually why not build a macro that does it for you? 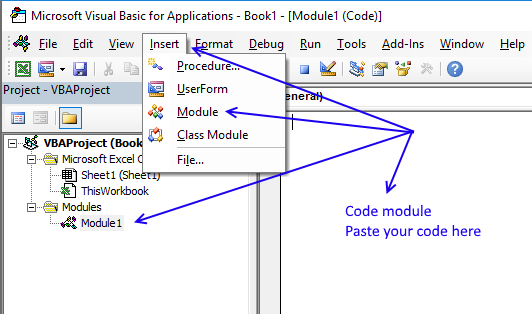 It is not hard, simply copy the macro and paste it to your workbook module. 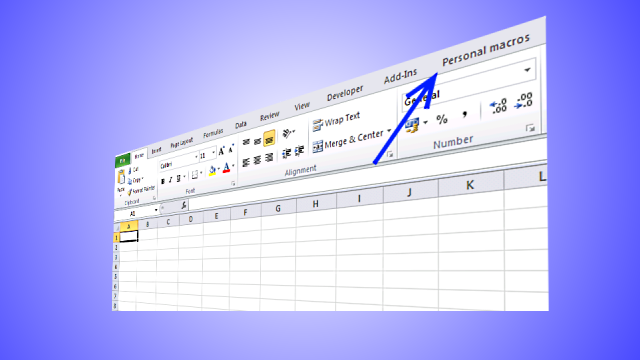 If you want to use it any workbook you open, put it in a personal macro workbook and link it to the Quick Access Toolbar or the ribbon. 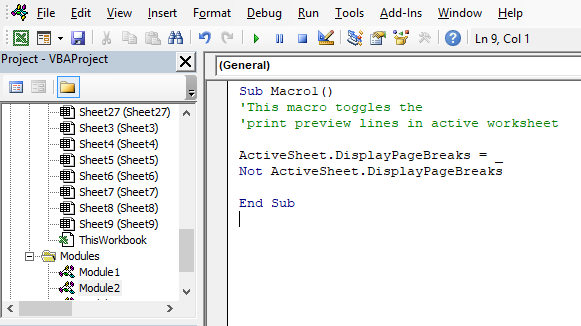 In fact, you can save useful macros in your personal macro workbook and become a lot more efficient in your work. Use the above line in the examples below if you don't want to toggle print preview lines. 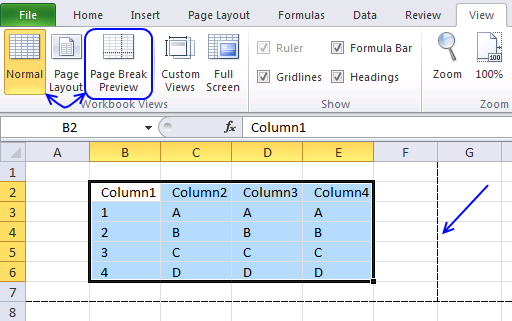 Using that code you can now show or hide "Page Breaks" on the active sheet with a macro. Meaning, if "Page Breaks" are visible this macro hides them. If "Page Breaks" are hidden, the macro makes them visible. 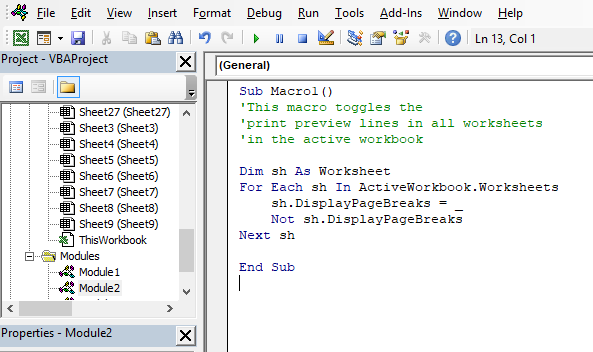 The following macro shows or hides "Page Breaks" on every sheet in the current workbook. This macro toggles "Page Breaks" on every sheet in every open workbook. Copy the preferred macro above. Click "Insert" on the menu. 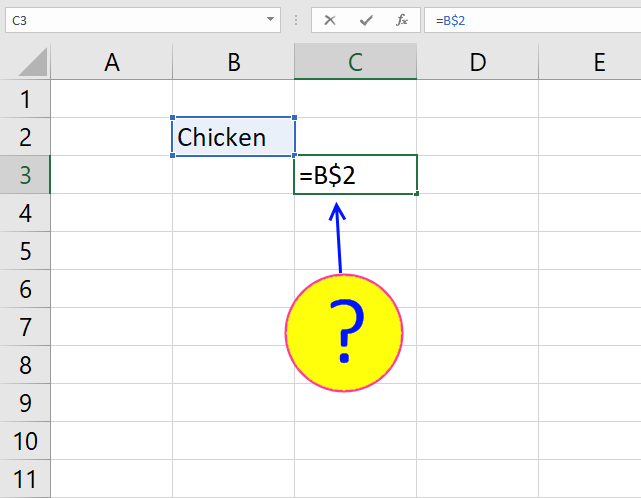 Don't forget to save the workbook as a macro-enabled workbook (*.xlsm file) or the macro is gone the next time you open the workbook.